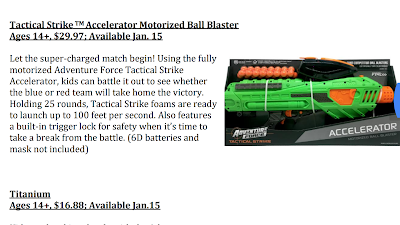 Fresh new info from Dart Zone, aka Prime Time Toys! 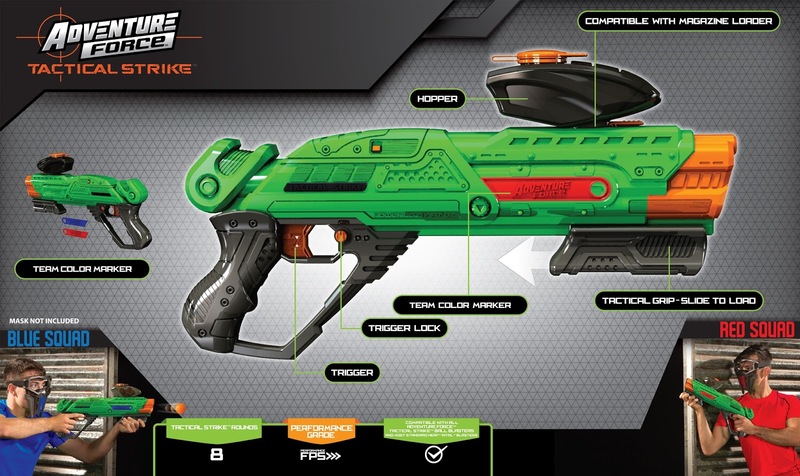 Priced again at just under the cost of other brands, Dart Zone sent over a press release of their new offerings coming to 2018. 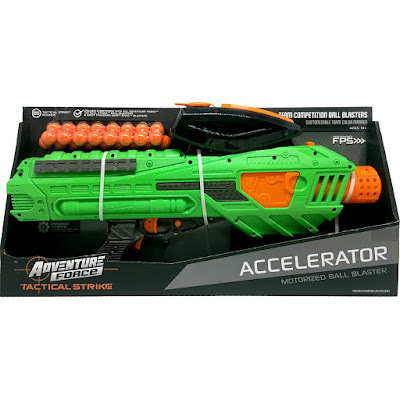 Under Walmart's "Adventure Force" brand, the "Tactical Strike" line is where to find these new blasters. I'm not sure what effect this will have on future releases, whether these will be for Walmart only (although in the case of the Powerball, Tactical Strike will have its own paint scheme) but for now I don't have any info that shows these will be anywhere else. 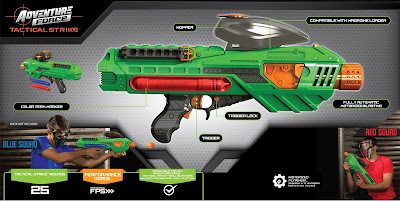 Queued up is the Accelerator blaster, what looks to be a flywheel, 6D battery monstrosity and the Titanium, another pump-action blaster. A little reminiscent of the original Powerball with a different handle. The new aesthetics look pretty cool though, for sure. 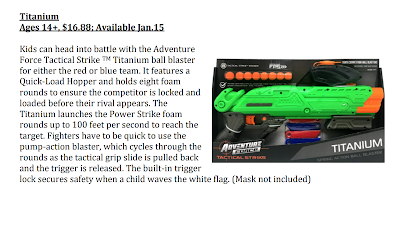 What's new are ammo reloads (Dart Zone is making their own Rival-style ammo) and a mask along with the blasters. 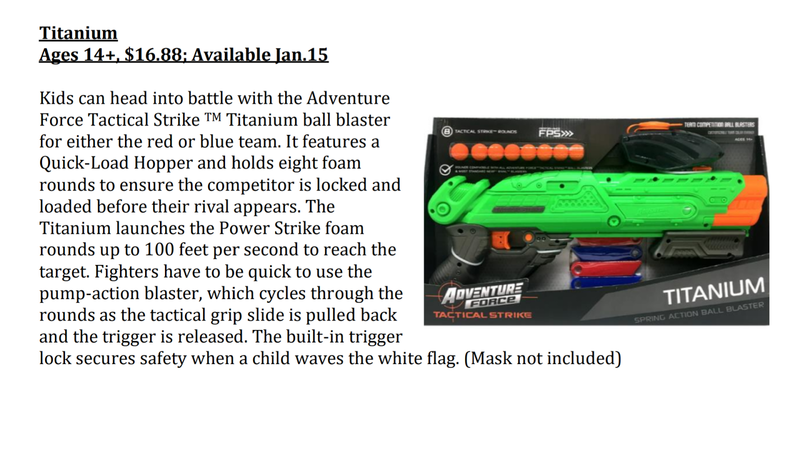 As I am all about the details, the blasters and the masks look to have interchangeable color plates for team indicators. Blue, Red, Green for starters (compared to the All-or-nothing color schemes for Blue, Red, and Phantom on the Nerf side of things.) And ultimately the price is definitely nothing to sneeze at considering the current market for 14+ foam projectiles. 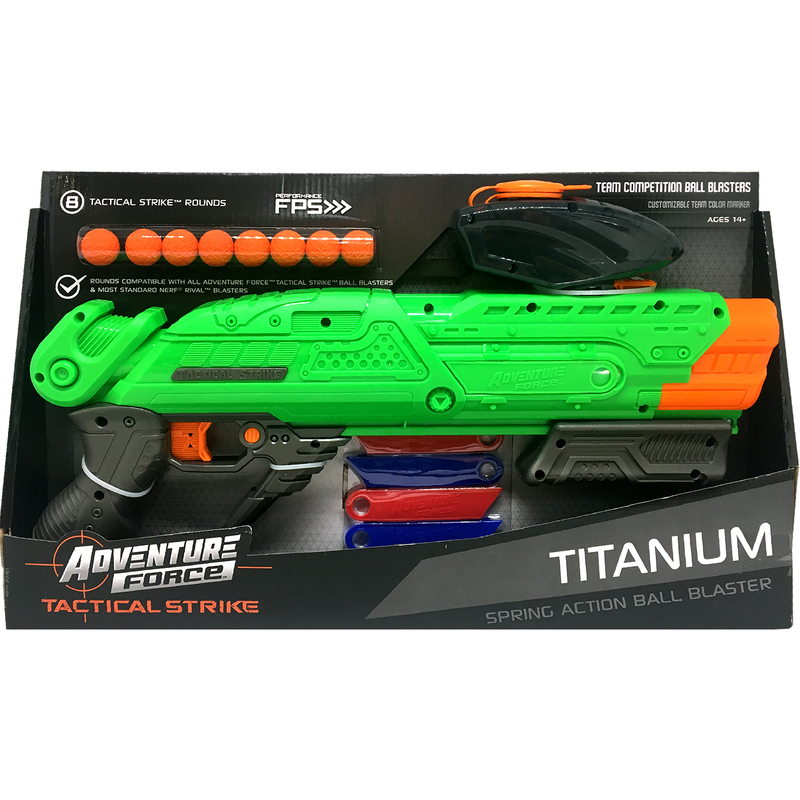 As a believer in stock play (not that it's the only way, but I do appreciate my experience straight out of the box) this is a pretty strong toy. 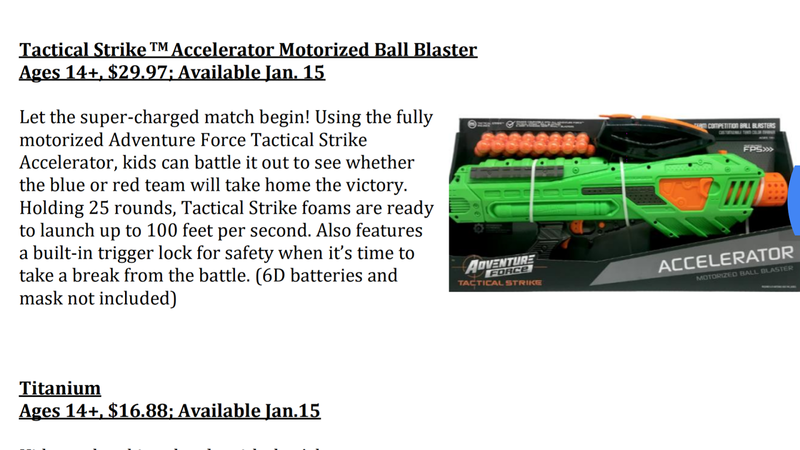 And yes, comparable to Nerf performance the Powerball is a smaller profile blaster, and compatible with Nerf Rival magazines. 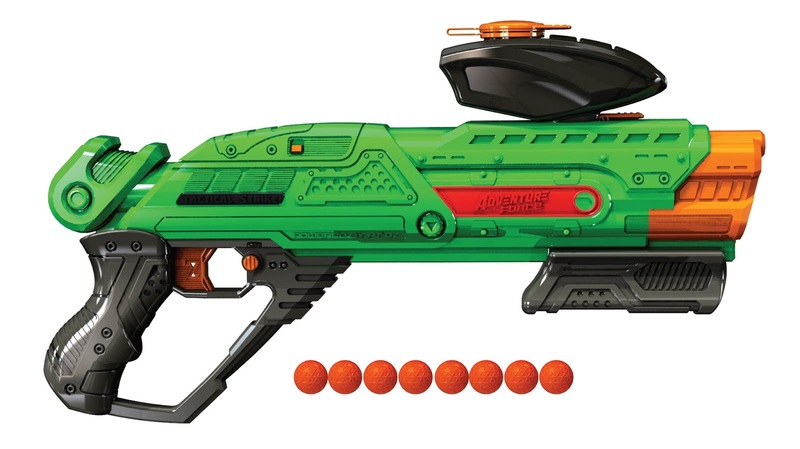 The only real shortcoming is no slam-fire but maybe one day. I may have samples after the holidays, we'll have to see! The official release date is January 15 so don't be surprised if these start popping up around then. Going to give these a go? 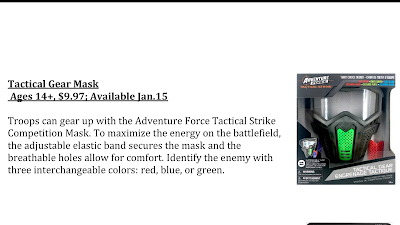 Don't forget to check out Walmart later this month (or January at the latest) to see if you can find them!